Georgia, one of fifteen countries that used to be affiliated to the Soviet Union, prides in having one of the richest cultures. As the Georgian alphabet testifies, the country has shown a distinct cultural identity since its founding in 4th century BC. It is even fair to say that its culture drove Georgia to defend its country despite the numerous foreign attacks. In addition, its capital T’bilisi, located on the path between Europe and Asia, functioned as the bridge to connect the East and the West. Therefore, Georgia’s culture, being formed in a place where multiple cultures coexists, has a unique appeal no other European country’s culture has. Alexander Antadze has been greatly influenced by his motherland’s culture. 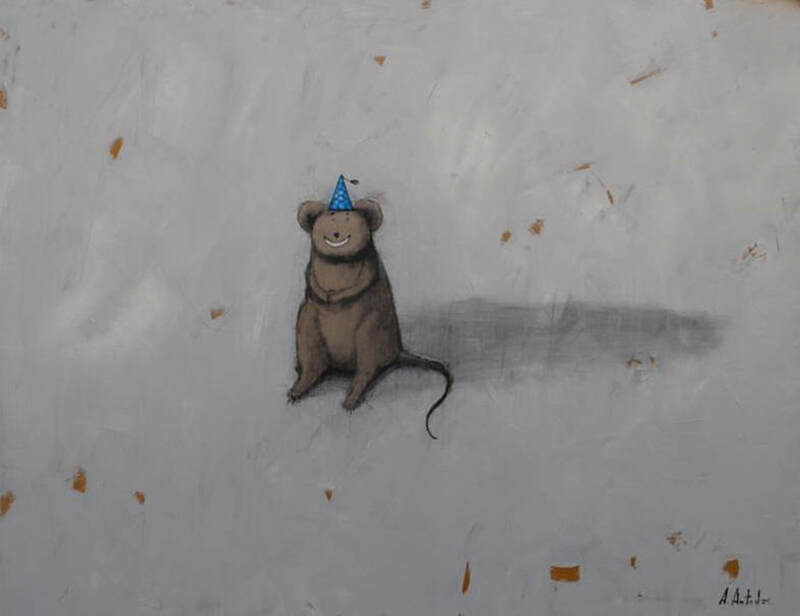 In this exhibition, he portrays the various animals one encounters in T’bilisi’s natural environment. 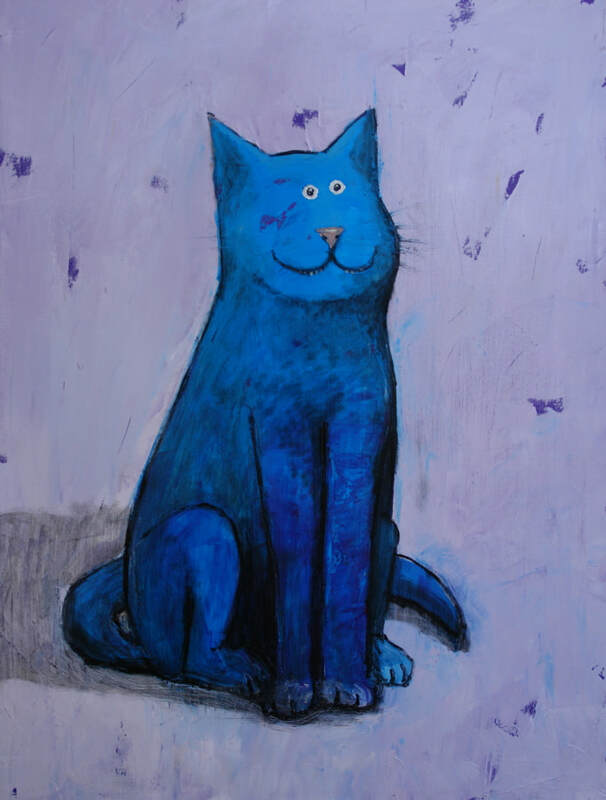 His works’ subjects painted in diverse colors demonstrate happiness with their cheerful faces. However, merriment is something rather quite distant from the artist’s actual life because it is difficult to find such pleasure in a country where constant social disruptions and conflicts with its bordering nations exist. Such phenomenon is a problem that not only Georgia faces, but also one the entire international community confronts. Against this pressing problem, Antadze feels both skepticism and vocation as an artist. In his works, he tries to focus on the small joys and amusements that exist amongst the numerous conflicts and struggles. The artist’s attempt in finding happiness in the midst of extreme circumstances is not his way of denying and escaping from the situation, but his way of hoping to share even the smallest joy. Alexander Antadze, born in 1972, studied fine arts at Georgia’s T’bilisi State Academy of Arts. The artist held his first solo exhibition in London in 2003, and for the past ten years, has been gradually building his profile mainly in Europe by showing in England, France, Switzerland, Netherland, Russia, and Georgia. “Embassy of Georgia in Israel ” Tel Aviv, Israel. Merie de Lunel. Lunel, France. 2007 Gallery “Artstable”. Amsterdam, Netherlands. Embassy of Georgia in Hague, Netherlands. 2008 London festival of architecture. London, U.K..
“Art-Manege Grafica” Tishinka 1. Moscow, Russia. 2004 “Soviet Artists Show” Town Hall. Mancheste,r UK. 2002 “Peace and colour gallery” Gallery N27, Cork Street. London, UK. 2000 “Peace and colour gallery” Gallery N 27, Cork street. London, UK.